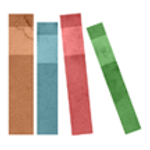 Now through Wednesday, save 20% on select Ignatius Press novels! Even better, ebooks are 35% off! Only online through ignatius.com. Hardcover: $19.95, now $15.96. Buy now or read more. Ebook: $19.95, now $12.97. Buy now or read more. 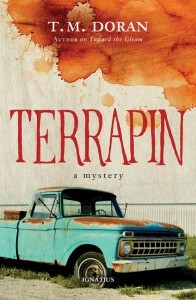 Hardcover: $16.95, now $13.56. Buy now or read more. Ebook: $16.95, now $11.02. Buy now or read more. Audiobook download: $16.95, now $15.25. Buy now or read more. When a British emergency room doctor saves the life a woman who apparently attempted suicide, he is accused of committing a crime and stands trial. Not only is Dr. Matthew Kemble’s medical practice at risk, but also his liberty. If he is found guilty of trespassing on a woman’s right to die, he could go to jail. 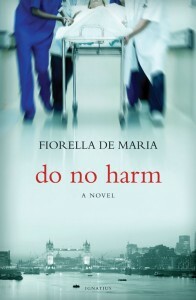 The novel Do No Harm exposes the dangers faced by conscientious doctors in Britain. Set in London, the story explores the interrelated stories of a physician facing ruin and imprisonment at the height of his career, his old friend and doggedly determined lawyer, and a passionate, dedicated but intensely lonely young campaigner. In order to study the religious practices of the Penitentes, a brotherhood of local men who engage in severe, medieval penances, Bain feigns a conversion to Catholicism…. 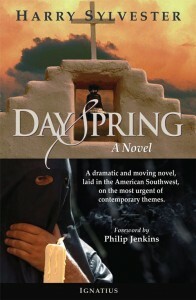 Artistically descriptive of the rugged Southwest and the people who dwell there, the novel also movingly portrays the inner landscape of a man coming to grips with his need for redemption. 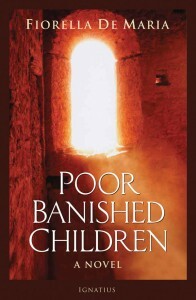 Softcover: $15.95, now $12.76. Buy now or read more. Ebook: $15.95, now $10.37. Buy now or read more. Audiobook download: $15.95, now $14.35. Buy now or read more. 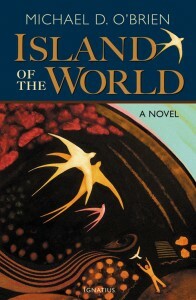 Island of the World is the story of a child born in 1933 into the turbulent world of the Balkans and tracing his life into the third millennium. Softcover: $24.95, now $19.96. Buy now or read more. Ebook: $29.95, now $19.47. Buy now or read more. Audiobook download: $24.95, now $22.45. Buy now or read more. Juan Uriarte, a handsome and outspoken Spanish ex-priest, seems to be the model of nonviolence and compassion for the poor and downtrodden. So why is he on trial, accused of terrorist activities? His worldwide Catholic charitable outreach program is suspected of being a front for radicals. Meanwhile an international conspiracy is growing, one that reaches into the Vatican itself. 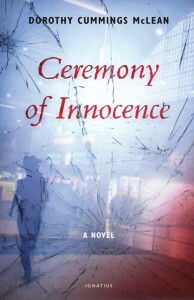 When the death of Pope John Paul II brings the conclave that will elect Joseph Ratzinger as Pope Benedict XVI, a terrorist plot involving blackmail, subterfuge, and mass murder begins to fall into place…. Dan, I think it’s incredible that you are starting to focus more on e-books, but I was wondering why your prices are so high. I can buy these same books on Amazon for less and as a quadriplegic on a very limited income, price really matters. If your prices were set more competitively with Amazon, I would be much happier buying my books from you. 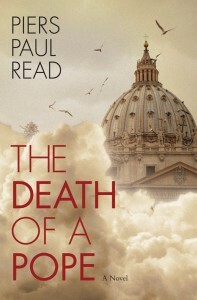 Piers Paul Reid’s Death of a Pope is very good. Suspense, political intrigue, what true love is also comes into focus. Hitchcock would have bought the film rights in another time. But often with great works of fiction a film could not do the book justice.